Destiny, the long-awaited online space shooter from Halo masterminds Bungie, has finally hit our shelves and the reviews are pouring in from major games publications across the globe. Well…kind of. Most of them have actually published ‘reviews-in-progress’ because they haven’t been able to spend enough time with the game yet. Destiny’s servers only went live today, which means most reviewers are still playing the game as we speak. So, we can’t really provide a definitive critical opinion on the game (at least not for a couple of weeks anyway). We can, however, round-up a few first impressions from some respected gaming publications. The surprisingly brilliant gaming section of free newspaper Metro explained why they couldn’t review Destiny yet earlier this week, but they still have a review in progress. All in all, they seem pretty impressed. They cite the excellent gunplay, FPS mechanics and stunning graphics as plus points, although the public events – in which players converge on one quest – seem to be their favourite part of the game so far. Metro do mention a couple of drawbacks though, including overpowered weapons, occasionally stupid AI and a lack of plot or introduction to the game’s apparently deep mythos. Gamespot’s review-in-progess calls Destiny ‘highly polished’ (as it should be for $500m) points out that it shares a lot of similarities with Halo. Their favourite part so far is the gameplay, which they claim ‘feels absolutely fantastic’. The reviewer is clearly further into the game than whoever is playing at Metro, as they have claim the plot is beginning to thicken and mention that as a good thing. However, they have reserved further judgement on the plot – as well as the world-building and looting elements – until they’ve played more of the game. 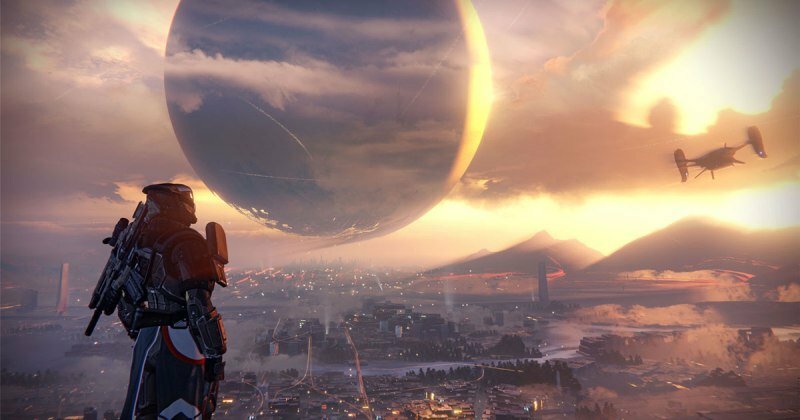 How did Destiny fare against Eurogamer’s famously brutal scoring system? Well, we don’t actually know yet. They’ve decided not to post a review, stating that they want to ‘test the game thoroughly’ before publishing their verdict. Fair enough! American gaming site Polygon haven’t posted a review yet, but they’re hosting a live playthrough of the game (although they’re on a break at the time of writing). You can catch up with the action so far here. Musga is a little-known French gaming website that happened to post the first review of Destiny. They gave it 6/10, citing limited architecture, limited enemies, the clichéd story and network issues as their main gripes. Note that there’s no mention of gameplay in those issues; the review was mostly likely linkbait capitalising on interest in the game. (note: at the time of writing, the review appears to have been removed. You can view part of the review at this link). 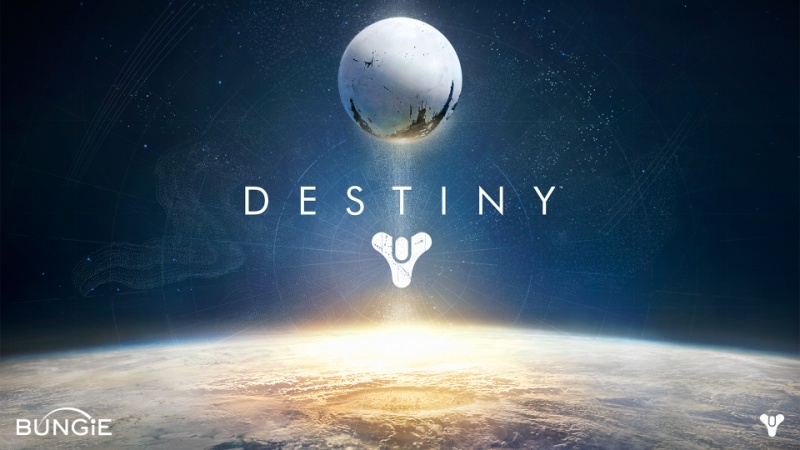 USGamer reviewed the Destiny beta in July and had distinctively mixed feelings about it. Their current review-in-progress of the final version seems to reflect this. Editor-in-chief Jeremy Parish writes that he finds the game ‘really fun’, but complains about the lack of ‘stakes’ in the plot, which makes it hard to care for the characters or the universe as a whole. Interestingly, USGamer’s editor-at-large Jaz Rignall cites ‘the shooting’ as the game’s problem, with particular criticism set aside for the AI. He also claims that he doesn’t feel immersed in the experience yet. The review isn’t entirely critical, with praise for Destiny’s technical and artistic quality. However, the lack of unique quests and repetitiveness are criticised. It should be mentioned that the review was based on a mostly single-player experience, with a new review due after more time has been spent with the online mode. In summary, no-one really knows what to think about Destiny yet. Praise seems to be universal for the game’s artistic style and gameplay, although there seems to be some common criticism for the plot and the enemy AI. Planning on buying Destiny? Then make some cash for it by selling some of your unwanted games with musicMagpie!